If you want to know how to learn Chinese, you need to begin with a solid strategy. I say this all the time, but learning a language is a lot like working out. You need a plan of attack to make sure you’re working efficiently and effectively. In most cases, my advice is to begin with the alphabet of the language you’re looking to learn. In the case of Chinese, however, there is no alphabet, and it can be quite daunting to jump in with Chinese characters. Fortunately, if you really want to know how to learn Chinese, there’s a short-cut—Pinyin. Hanyu Pinyin, or simply Pinyin, is the official phonetic system used to convert Mandarin Chinese sounds into the Latin alphabet. 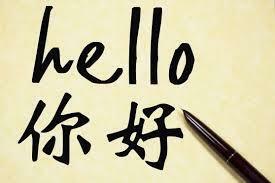 The system was created in the 1950s and is a standard tool for teaching Chinese to non-native speakers. While Pinyin is helpful for anyone who wants to know how to learn Chinese, it is not perfect. Mandarin has sounds that have no equivalent in English and learning Pinyin is important if you want to know how to pronounce Mandarin properly. In this system, one Pinyin is roughly the same as one syllable, and every Pinyin is comprised of three parts: initial, final and tone. For example, in the word “wǒ”, “w” is the initial, “o” is the final, and the mark above the “o” is the tone. You can think of initials as the equivalent of consonants in English and the finals as the vowels. Following is the Mandarin Chinese pronunciation based on Pinyin. Of course, this is just a bit of a crash course on how to learn Chinese using the Pinyin system, but I hope you found it helpful.